Rose Petal Essence creates deep heart awakening as a powerful alchemy occurs as the old dross and dense energies are released lifting your heart to a higher frequency. This essence offers renewal of your innocence, trusting and loving heart. This essence works on an energetic level …. Rose Petals, Vanilla, Rose Quartz, Kunzite, Clear Quartz, Luna Rays, Reiki to heal from surface to core, deep healing of the voice which speaks for your heart and finally music which is your heart’s medicine. Open your heart for true and deep healing so that your light may shine and create a sweeter song in your heart. Spirit Blessings will be delivered into your inbox on the 1st day of each new month. You will receive a distant Reiki healing + reading which will provide insight and inspiration for the month ahead. Spirit Blessings will help you reach your highest + best potential in life, love + destiny. 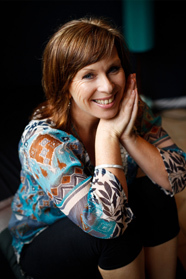 Susanne Calman is a passionate retreat facilitator, intuitive healer, psychic, raw food chef and yoga teacher with over 26 years experience in making women feel rejuvenated and re-energized. "I draw upon my wisdom and intuition to create an amazing life changing experience for my clients"